This Tuesday’s meeting will focus on two main events, planning for our lock-in and rank advancements. Right now I’m tracking that the lock-in will consist of games to include the Chess Merit Badge and possibly doing some equipment maintenance. 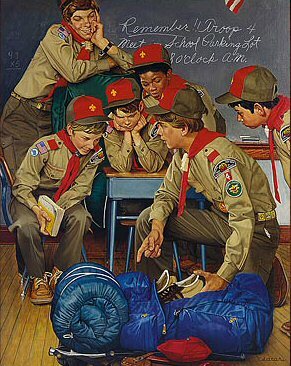 As far as advancements, I believe we have two Scout Master Conferences this Tuesday, Mark and Daniel. If you need one then please let your SPL and Scoutmasters know in the beginning of the meeting!